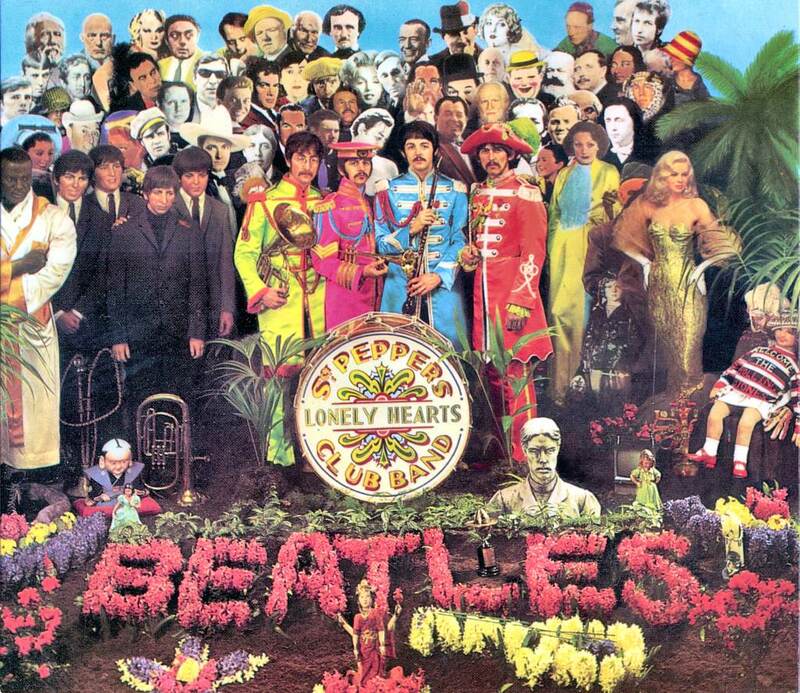 The cover of The Beatles “Sgt. 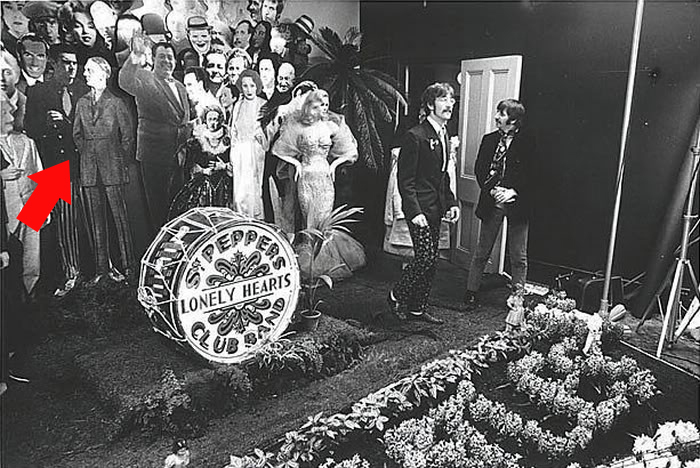 Pepper’s Lonely Hearts Club Band” features John Lennon, Paul McCartney, George Harrison and RIngo Starr in front of a collage of life-sized cardboard models of famous people and some of their hero’s. Most of the suggestions came from Lennon, McCartney and Harrison. Harrison opted for a number of Indian gurus to reflect his spiritual leanings while Lennon’s list, thought to be half-joking, included Jesus, Hitler and Gandhi. 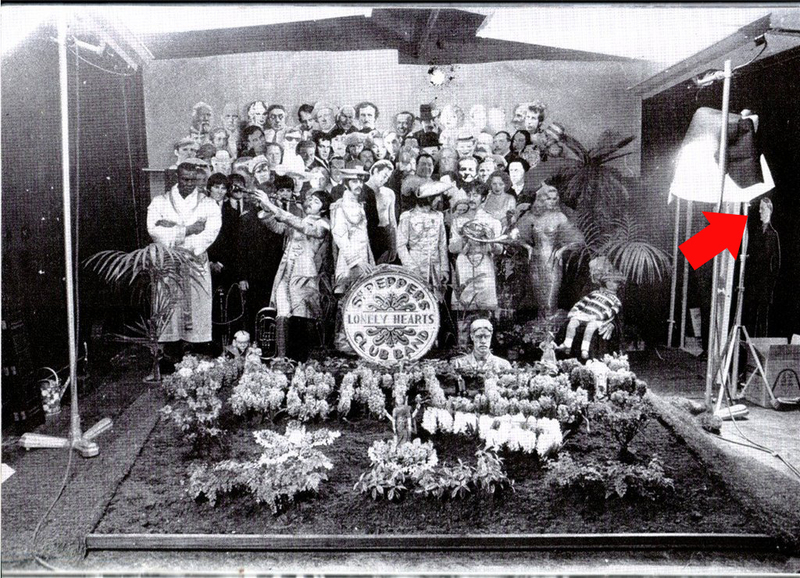 Check out the cut-out of Hitler set off to the side of the photo shoot.